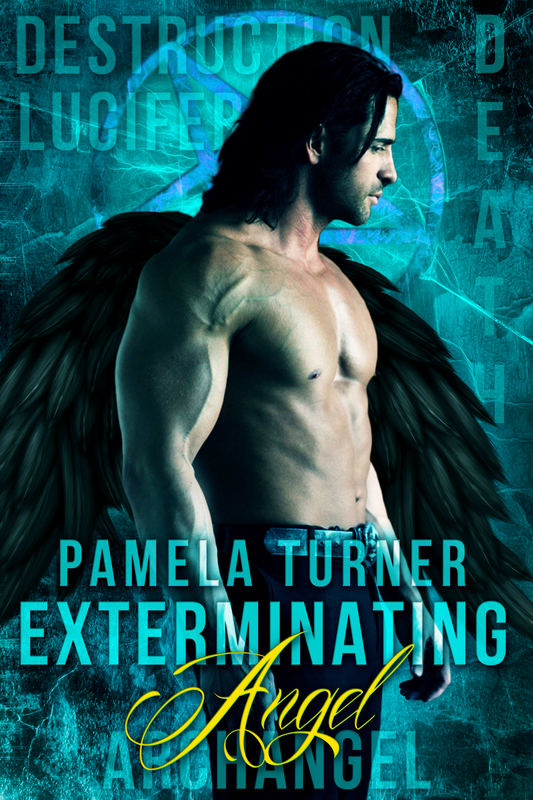 I’m thrilled to welcome Pamela Turner to my blog to talk about her new book Exterminating Angel! Take it away Pamela! To be honest, I’m never quite sure where I get my ideas for my stories. Many stem from “What if?” questions, song lyrics, or pictures. Once the book is written, it’s like my memory is wiped clean, made ready for a new story. Funny, though, the stories I haven’t written? I can tell you exactly what inspired the idea. Yeah, I’m weird that way. But I digress. Exterminating Angel began in 20ll, shortly after my first angel paranormal short novel, Death Sword, was published. Then, I only had the one book, and a best-selling published romantic-suspense author advised me I needed a back list. Shortly thereafter, Stoker-award winning author John Everson came to Louisville for a book signing at the local Barnes and Noble. I told him my story idea and he said go for it. I never looked back. Those were powerful words, filling me with hope and determination. It took several drafts, and even a revise and resubmit, but on April 1, 2013, I received a contract from Lyrical Press. Yes, at first I thought it was an April Fool’s joke, but happily that proved to not be the case. This because I never lost sight of the advice I was given. Even when I struggled through the drafts, determination to succeed drove me forward. I believed in my story, loved my characters, wanted to share my vision. That dream became reality on May 5 of this year. It’s been a fun ride. I’ve enjoyed it so much, I’ve written a spin off, Hell on Earth, which is currently undergoing revisions before I submit it to beta readers. This is Raziel’s story, and pits him and the demon brigadier-general Sargatanas against the demon Asmodeus. Who knew writing about angels could be so much fun? Stay tuned for my review!!! ← Talking to the Sky is FREE for five days!